Draft: 2004, Chicago White Sox, 15th rd. Carlos Ephriam Torres...born in Santa Cruz, Calif...attended San Jose State University (San Jose, CA) before transferring to Kansas State University...in 2004 while at Kansas State, led the team with 113.2 IP, the second-best single season total in school history and 0.1 innings shy of the school record of 114.0 innings...threw two complete games during his 2004 campaign...graduated from Aptos High School (CA) where he played football, basketball and baseball all four years...in spring of his senior year he also ran track...in 2000, was named the Aptos High School Male Athlete of the Year and eventually inducted into the school's Hall of Fame in the Class of 2009. Spent the majority of the season with Syracuse (AAA) and made a brief stint with WSH from 4/20-5/23...Spent Spring Training with CLE before being released on 3/24… signed by WSH as a minor league free agent on 3/28...Had his contract selected by WSH on 4/20 before being designated for assigned on 5/23...cleared waivers and was outrighted to SYR on 5/25, where he spent the remainder of the season...While with WSH, limited opposing teams to one-or-fewer earned runs in seven of his 10 appearances... Tossed at least 1.0 inning in nine of his 10 ML outings...ML opponents hit .243 (9-for-37) against him…lefties hit just .200 (4-for-20) while right-handers hit .294 (5-for-17)...With runners on base, opponents were 4-for-18 (.222) and with RISP, opponents were 3-for-13 (.231)...Made three starts for SYR, posting a 3.60 ERA (4 ER, 10.0 IP) with eight SO...As a reliever, he went 4-4 with a 2.88 ERA (13 ER, 40.2 IP) in 33 games with three saves while limiting opponents to a .188 average. Signed as a free agent with Atlanta on 2/22...Was released by the Braves on 4/1 and signed by the Brewers on 4/2...Went 3-3 with a 2.73 ERA and 2 saves in 72 relief appearances with Milwaukee...His 72 appearances and 82.1 relief innings pitched led the team....Held opponents to a .217 batting average...Retired 52 of 72 first batters faced (72.2%) ...Stranded 18 of 25 inherited runners (72.0%)...Notched his saves in consecutive appearances on 5/25 and 5/26 at Atlanta...Signed a 1-year contract on 1/13/17, avoiding arbitration. Went 5-6 with a 4.68 ERA in 59 relief appearances with the National League champion Mets...Retired 40 of 59 first batters faced (67.8%)...Stranded 18 of 30 inherited runners (60.0%)...Did not pitch in the postseason. Established career-highs in wins (eight), innings (97.0), strikeouts (96) and games (73)...Led all major league relievers with 92.0 innings...The last Mets reliever to pitch 90.0 or more innings in relief was Terry Leach in 1988, who also hurled 92.0 innings...He was the 15th reliever in team history to reach 90.0 or more innings...Was tied for ninth in the NL with 73 outings...The eight relief wins were tied for the fourth-most in the majors, tied for the eighth-most in team history and were the most since Roberto Hernandez won eight in relief in 2005...Had six losses in relief, tied for the seventh-most in the majors...Made a spot start on August 18 vs. Chicago-NL...Worked 5.0 scoreless innings allowing three hits after pitching in relief the previous day...Became the fourth pitcher in Mets history to start a game on zero days rest...Joined Dan Wheeler (April 7 and 8, 2004 at Atlanta), Kevin Kobel (recorded the final out of a suspended game before starting the regularly scheduled game against Houston at Shea Stadium on August 22, 1979) and Craig Anderson (game one of doubleheader on September 8 and September 9, 1962)...The last major league pitcher to start on no rest was the Angels' Billy Buckner (June 25 and 26, 2013 at Detroit)...The last pitcher to record at least 5.0 shutout innings in a start on no rest was Philadelphia's Bruce Ruffin, who tossed 8.0 shutout innings against Houston on June 21, 1991...Prior to his start he had allowed 10 earned runs and six home runs in 11.2 innings (7.71 ERA) from July 19-August 17. Tossed a bullpen season-high 4.2 innings on July 4 vs. Texas...Also went 4.0 innings on June 15 vs. San Diego...That was the most by a Met since Darren Oliver had five such outings of 4.0 or more innings of relief in 2006...Allowed two earned runs in 25.0 innings (0.72 ERA) with 21 strikeouts from August 14-September 25 before permitting two earned runs in a loss on September 26 vs. Houston...Racked up 96 strikeouts in 97.0 innings, averaged 8.91 strikeouts per nine innings...Held lefthanders to a .218 (29-133) batting average while righties hit .262 (60-229)...Opponents hit .205 (18-88) with RISP, .133 (6-45) with RISP and two outs and .100 (1-10) with the bases loaded. Set major league career-highs with 33 appearances and nine starts after starting the year with Las Vegas (AAA) of the Pacific Coast League...The Mets selected his contract on June 15. Went 3-5 with a 4.89 ERA (27 earned runs/49.2 innings) in nine starts...Allowed three runs or less in seven of the starts and one run in three of them...Allowed 11 of his 15 home runs while in the rotation and struck out better than a batter per inning (50 strikeouts/49.2 innings) as a starter. Was 1-1 with a 1.47 ERA (six earned runs/36.2 innings) in 24 games out of the bullpen...Among pitchers who tossed at least 35.0 innings in relief, his 1.47 ERA was the 10th-lowest mark in the majors and the fourth-lowest mark in the National League...His .203 batting average against as a reliever was also 18th best in the NL, while his strikeout to walk ratio (5.00; 25 strikeouts/five walks) was eighth-best...Compiled a 7.85 baserunners per nine innings working out of the bullpen, the best in the NL. Allowed a run in only five appearances out of the bullpen...Got four outs or more as a reliever a team-high 15 times, and did not allow an earned run in 12 of those appearances...Did not allow an earned run over 18.1 relief innings from June 25-August 10. Posted a 2.66 ERA (14 earned runs/47.1 innings) in 17 games, five starts at Citi Field...In comparison, went 1-3 with a 4.38 ERA (19 earned runs/39.0 innings) in 16 games, four starts on the road. Pitched at least 6.0 innings in six of his nine starts...Tossed 7.0 innings on September 3 at Atlanta, tying his career-high (also, September 3, 2009, Chicago-AL at Chicago-NL). Struck out a career-high eight on September 14 vs. Miami...From August 29 through the end of the season, had 41 total strikeouts which ranked fourth in the NL...Compiled a 9.80 K/9, which ranked seventh-best in the league during that span. Allowed four home runs on September 9 vs. Washington...Became the first Mets pitcher to allow four home runs in a game since Johan Santana gave up four at Yankee Stadium, June 8, 2012...Became the second Mets pitcher to surrender four home runs at Citi Field; Santana allowed four in a 6-5 win over Philadelphia on June 9, 2009. Earned Pacific Coast League Pitcher of the Week on June 10 after throwing back-to-back complete games, giving up only one run in 18.0 innings and striking out 15...He won each of his last five starts in Las Vegas, posting a 1.67 ERA (seven earned runs/37.2 innings pitched) over that stretch...Recorded quality starts in five of his final six starts in the minors and pitched at least 6.0 innings in all six. Spent the majority of the year with Colorado...Made 31 appearances outof the bullpen for the Rockies...Had three stints with the Rockies...Was called up for the first time fromColorado Springs (AAA) of the Pacific Coast League on May 5 andremained with the club until May 15...Called up for the second time onMay 28 and returned to the minors on June 1...Was called up for the finaltime on July 4 and remained with the Rockies until being outrighted toTriple-A on November 2...In seven July games, he was 1-0 with a 0.00 ERA...In 12.0 innings, allowedone hit with four walks and 12 strikeouts...The 12.0 innings was a careerlong scoreless streak...Lefthanded batters compiled a .225 (18-80) batting mark against him...Worked a season-high 3.0 innings twice: July 23 at Arizona and September4 at Atlanta...Picked up the victory against the Braves as he gave up noruns, three hits with three strikeouts...Also pitched 2.2 innings three times, July 29 vs. Cincinnati on August 5 vs.the Giants and August 22 at New to pick up a win vs. the Mets at Citi Field...In addition, he went 2.1 innings twice and 2.0 innings 11 other times...Struck out a season-best five in 2.2 innings vs. Cincinnati on July 29...In 15 road games, he was 4-1 with a 3.08 ERA (nine earned runs/26.1 innings)...Appeared in 14 games (13 starts) for Colorado Springs (AAA)...Went a season-high 6.0 innings to earn the win at Tucson on June 29...Struck out six five different times. Played for the Yomiuri Giants in Japan the entire season...Made just six appearances, all starts, for the Giants, going 1-2 with a 6.26 ERA (27.1 ip, 19 er), 19 strikeouts and 11 walks...allowed just four runs and opponents hit .307 off the right-hander. Began the seaosn with Triple-A Charlotte as one of the clubs regular starter...made 25 starts and two relief appearances in Charlotte, going 9-9 with a 3.42 ERA (160.1 ip, 61 er), 140 strikeouts and 71 walks while holding hitters to a .217 average...made four separate stints with the White Sox big league club, making one start and four relief appearances...finished the season with an 0-1 record and an ERA of 8.56 (13.2 ip, 13 er)...struckout 13 and walked nine in the five appearances...opponents hit .377 (23-for-61) with two home runs and seven doubles. Was selected as the Class AAA starting pitcher of the year by MiLB.com, going 10-4 with a 2.39 ERA(34 ER/128.0 IP), one save and 130 strikeouts in 23 games (20 starts) with Class AAA Charlotte...was named to the international league mid/postseason all-star teams...led the IL in ERA and ranked third in strikeouts...tossed a rain-shortened, 5.0-inning perfect game on 6/18 at Pawtucket...the perfect game was the first bya Knights pitcher and 15th in IL history...went 7-0 with a 2.11 era (17 ER/72.2 IP) in his last 13 outings (10 starts) with Charlotte...made eight appearances (five starts) with the White Sox, going 1-2 with a 6.04 ERA (19 er/28.1 IP)...was 1-2 with a 6.65 era (17 er/23.0 IP) as a starter and posted a 3.38 era (2 ER/5.1 IP)in relief ... his contract originally was purchased by the White Sox on 7/22...made his first major-league start that night vs. Tampa Bay (ND, 3 ER/6.0 IP)...was optioned back to the Knights following Mark Buehrle's perfect game on 7/23...earned his first win on 9/3 at Cubs with 7.0 scoreless IP...became the first Sox pitcher since John Snyder in 1998 to throw at least 7.0 scoreless IP within the first three starts of his career...lasted 0.2 IP on 9/8 vs. Oakland, the shortest start by a Sox pitcher since Neal Cotts on 8/28/03 at New York-AL (0.1 IP). Went 9-5 with a 3.42 ERA (46 er/121.0 ip) in 30 games (18 starts) between Double-A Birmingham and Triple-A Charlotte...was named to the Southern League Mid-Season All-Star team...was named SL Pitcher of the Week for 6/16-22, going 1-0 with a 0.00 ERA (8.0 ip)...went 2-1 with a 6.59 ERA (13.2 ip, 10 er) in 13 games with Peoria of the AFL. Combined to go 2-4 with a 3.70 ERA (92.1 ip, 38 er) and four saves in 55 games between Single-A Winston-Salem and Birmingham. Was 3-8 with a 4.69 ERA (94.0 ip, 49 er) and one save in 25 games (20 starts) with Winston-Salem. Combined to go 2-4 with a 3.29 ERA (68.1 ip, 25 er) between Rookie Level Great Falls and Single-A Kannapolis...was named Pioneer League Pitcher of the Week for 7/4-10. Made his professional debut at Rookie Level Bristol. January 24, 2019 San Diego Padres signed free agent RHP Carlos Torres to a minor league contract and invited him to spring training. 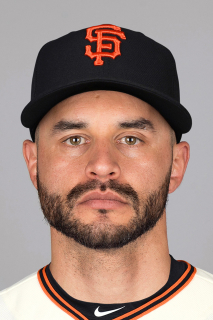 January 24, 2019 RHP Carlos Torres assigned to El Paso Chihuahuas. October 2, 2018 RHP Carlos Torres elected free agency. May 25, 2018 Washington Nationals sent Carlos Torres outright to Syracuse Chiefs. May 23, 2018 Washington Nationals designated RHP Carlos Torres for assignment. April 20, 2018 Washington Nationals selected the contract of RHP Carlos Torres from Syracuse Chiefs. April 6, 2018 RHP Carlos Torres assigned to Syracuse Chiefs. March 30, 2018 Washington Nationals signed free agent RHP Carlos Torres to a minor league contract. March 24, 2018 Cleveland Indians released RHP Carlos Torres. February 22, 2018 Cleveland Indians signed free agent RHP Carlos Torres to a minor league contract and invited him to spring training. February 22, 2018 RHP Carlos Torres assigned to Columbus Clippers. November 3, 2017 RHP Carlos Torres elected free agency. April 2, 2016 Milwaukee Brewers signed free agent RHP Carlos Torres. March 31, 2016 Atlanta Braves released RHP Carlos Torres. February 23, 2016 RHP Carlos Torres assigned to Gwinnett Braves. February 19, 2016 Atlanta Braves signed free agent RHP Carlos Torres to a minor league contract and invited him to spring training. February 1, 2016 New York Mets sent RHP Carlos Torres outright to Las Vegas 51s. He elected free agency. January 22, 2016 New York Mets designated RHP Carlos Torres for assignment. November 2, 2015 New York Mets activated RHP Carlos Torres. October 9, 2015 New York Mets reassigned RHP Carlos Torres to the minor leagues. June 16, 2013 New York Mets selected the contract of RHP Carlos Torres from Las Vegas 51s. November 15, 2012 New York Mets signed free agent RHP Carlos Torres to a minor league contract and invited him to spring training. November 2, 2012 Colorado Rockies sent Carlos Torres outright to Colorado Springs Sky Sox. July 4, 2012 Colorado Rockies recalled Carlos Torres from Colorado Springs Sky Sox. June 2, 2012 Colorado Rockies optioned Carlos Torres to Colorado Springs Sky Sox. May 30, 2012 Colorado Rockies recalled Carlos Torres from Colorado Springs Sky Sox. May 29, 2012 Colorado Rockies optioned RHP Carlos Torres to Colorado Springs Sky Sox. May 28, 2012 Colorado Rockies recalled Carlos Torres from Colorado Springs Sky Sox. May 15, 2012 Colorado Rockies optioned Carlos Torres to Colorado Springs Sky Sox. May 4, 2012 Colorado Rockies selected the contract of Carlos Torres from Colorado Springs Sky Sox. April 5, 2012 Carlos Torres assigned to Colorado Springs Sky Sox. January 11, 2012 Colorado Rockies signed free agent RHP Carlos Torres to a minor league contract and invited him to spring training. October 26, 2010 Chicago White Sox released RHP Carlos Torres. September 7, 2010 Chicago White Sox recalled Carlos Torres from Charlotte Knights. August 31, 2010 Chicago White Sox optioned Carlos Torres to Charlotte Knights. August 28, 2010 Chicago White Sox recalled Carlos Torres from Charlotte Knights. August 4, 2010 Chicago White Sox optioned Carlos Torres to Charlotte Knights. August 3, 2010 Chicago White Sox recalled Carlos Torres from Charlotte Knights. March 23, 2010 Chicago White Sox optioned Carlos Torres to Charlotte Knights. September 1, 2009 Chicago White Sox recalled Carlos Torres from Charlotte Knights. August 11, 2009 Chicago White Sox optioned Carlos Torres to Charlotte Knights. August 8, 2009 Chicago White Sox recalled Carlos Torres from Charlotte Knights. July 24, 2009 Chicago White Sox optioned Carlos Torres to Charlotte Knights. July 22, 2009 Chicago White Sox selected the contract of Carlos Torres from Charlotte Knights. April 13, 2009 Carlos Torres assigned to Charlotte Knights from Chicago White Sox. June 11, 2004 Chicago White Sox signed RHP Carlos Torres.